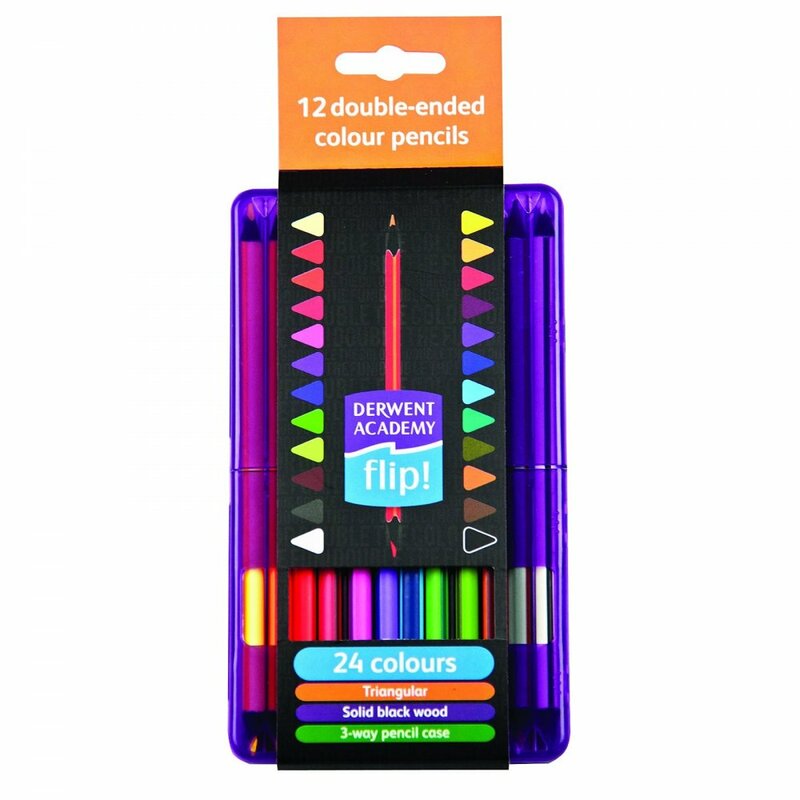 The Derwent Academy Flip range was designed with kids in mind, let their imagination run wild with a selection of 12 double-ended colour pencils, effectively providing 24 colours. The colours stand out against the black wooden barrel. Contains 12 double ended colour pencils totalling 24 colours. Excellent pencils. I like the fact that you get 24 colours in the space for twelve.